Rick has authored two books to help the church in demonstrating the gospel to the World through caring for orphans. KnowOrphans addresses three distinct areas associated with global orphanology. Delving deeper into the criticisms of the movement, the need for reform, and what families can expect, author Rick Morton helps shape realistic perceptions of the challenges and rewards adoptive parents face in transnational adoptions. Through illuminating the work internationally adoptive families can expect, KnowOrphans offers solutions for the church in remedying the ills and deficiencies surrounding the church’s role in equipping and supporting families before, during, and after the adoption process. Knowing that the church’s response and attitude should be one that goes beyond adoption, KnowOrphans also addresses the complexities of how Christians are to respond ethically, compassionately, and comprehensively to the biblical call to care for orphans. KnowOrphans is the next step in conversation as this evangelically based movement of orphan care matures and begins to live out James 1:27 globally. In recent years, an organic movement has begun in pockets of the evangelical community to live out James 1:27. All over America, people and churches are discovering opportunities to care for the fatherless in very creative and practical ways. God is awakening a spirit in the contemporary evangelical church to live out the Gospel through the care of orphans. Orphanology is a practical response to God’s command to care for the fatherless told through the stories of families and ministries who are responding. Orphanology extends the call to minister to the nearly 150 million orphans in the world with real-world ideas and illustrations for engaging in orphan ministry. 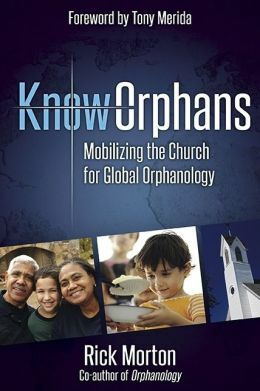 Containing concrete ideas for how Christians, their churches, and groups of churches can respond tangibly to God’s call to care for the fatherless, Orphanology demonstrates how adoption, foster care, and other forms of orphan ministry are accessible to every believer and every church and introduces innovative approaches to orphan ministry including orphan hosting. You will be empowered and find direction for approaching the task of ministering to the fatherless at home and around the world.